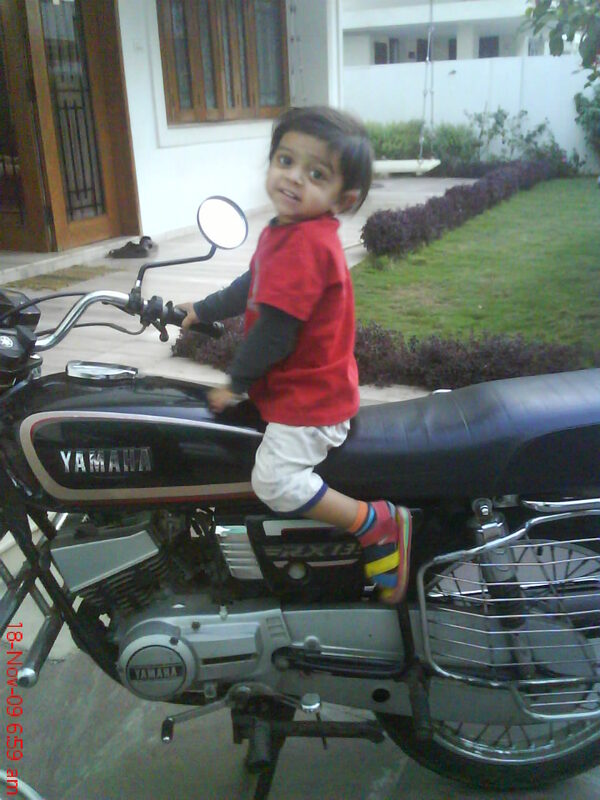 Playful child Dhyaan is enjoying his ride with his Dad’s motorbike. 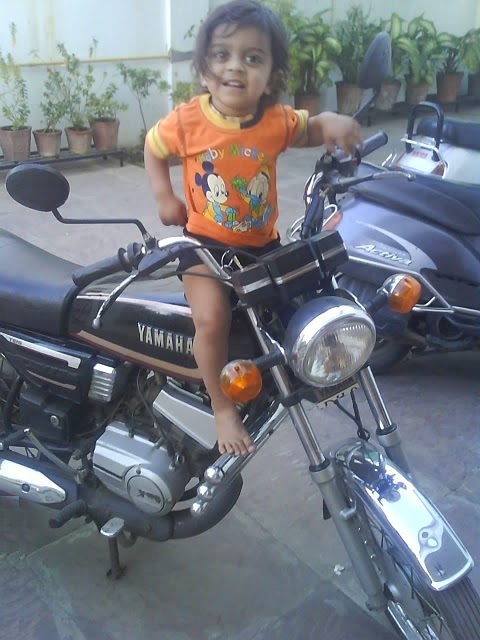 He thinks he can make it move :D. Look at his face, it seems he is asking how it will work. Children are always like that. They seems to get aware of everything. They dont bother if they will get hurt. That is called “AWARENESS”. Kids are always like that. Good for them! 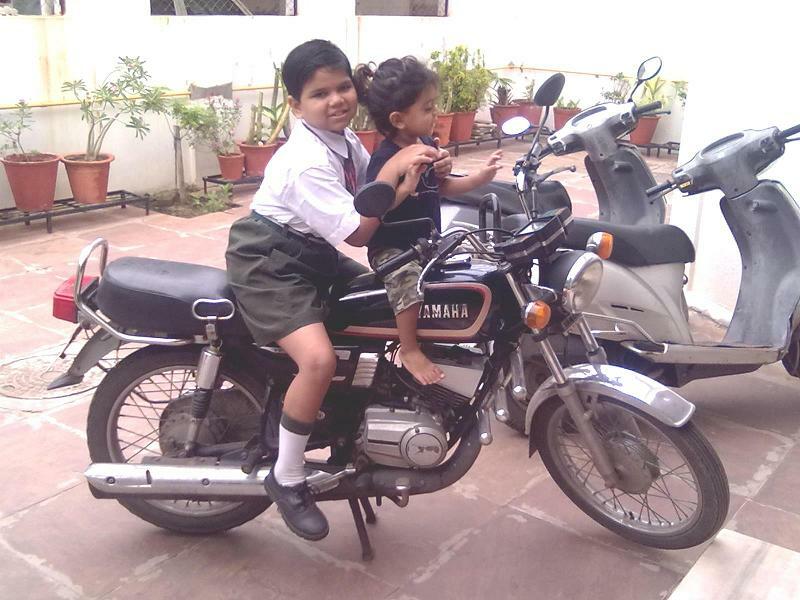 Happy kids riding in a motorbike! 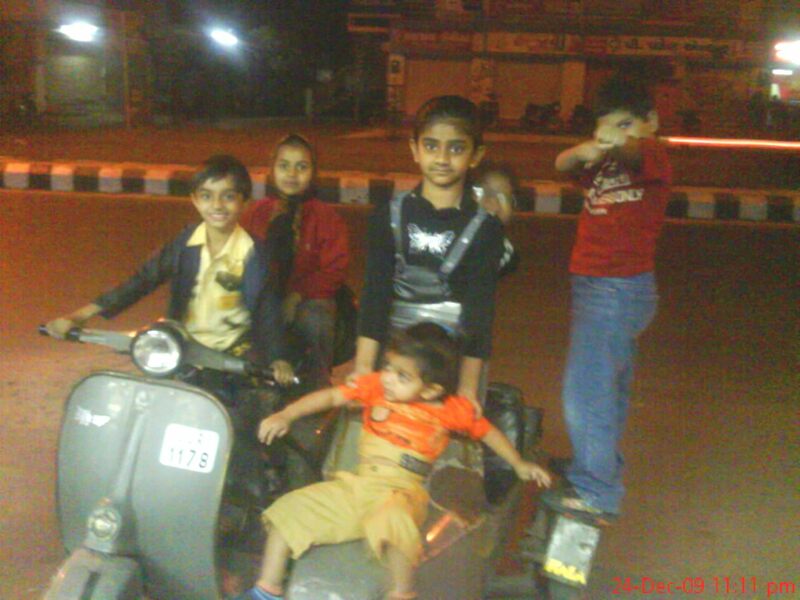 Patel kids and some playmates were enjoying the motorbike ride. Kids are having fun to play with all their friends.